Martha Blackman-Hughes is a paralegal in the firm’s Raleigh office. She supports attorneys Dan Hartzog, Jr., Katie Barber-Jones, Ted Smyth, and Jennifer Welch. 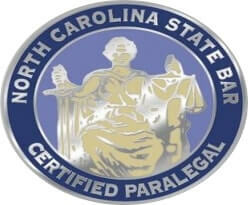 Martha is a North Carolina State Bar Certified Paralegal, a NALA Advanced Certified Paralegal, and a graduate of the 2012 NALA Leadership Enhancement and Advancement Program. She has worked as a paralegal since 2001, and has experience in various practice areas, all with the common thread of civil litigation. Martha is dedicated to the advancement of the paralegal profession and is an active officer with the North Carolina Paralegal Association. 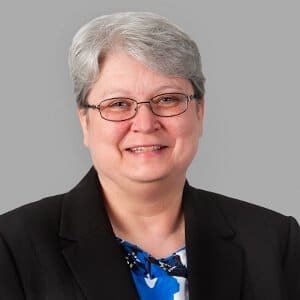 She also serves on the Paralegal Certification Committee of the North Carolina State Bar Board of Paralegal Certification. Martha lives in Apex with her husband, John, and two mini schnauzers, Maggie and Dixie, who are convinced they are human beings with commensurate rights.